United will begin selling basic economy fares on select transatlantic flights on Dec. 11, joining competitors American and Delta. Like the transatlantic basic economy offering of its U.S. rivals, customers who purchase the new United fare class will be required to pay for their first checked bag. In addition, tickets will be nonrefundable and not changeable. Flyers won’t be able to buy or request upgrades. And advanced seat assignments won’t be permitted for free, though they will be available for purchase on the United website. 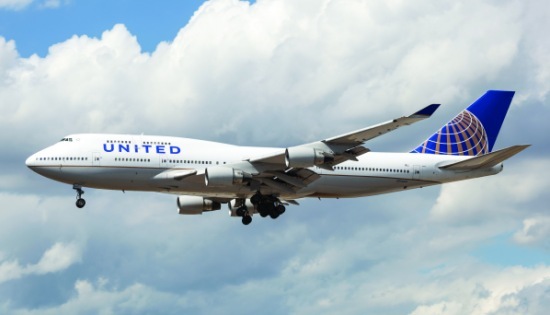 In a Monday email to travel agents, United explained differences between its transatlantic basic economy fare and the basic economy product it offers on domestic and medium-haul international flights. Notably, flyers will be allowed one carry-on bag as well as a personal item. United does not allow domestic basic economy passengers to stow a carry-on bag, unlike American and Delta. United’s transatlantic basic economy flyers will also be able to check in online and they won’t necessarily board in the last boarding group. United said the new basic economy offering will put it more in line with its transatlantic joint venture partners Air Canada and Lufthansa. Then beginning March 30, at the other end of the economy spectrum, United’s roomy new international premium economy cabin, which it calls United Premium Plus, will be officially introduced on its 777-200ERs, 777-300ERs and 787-10s. These seats will be available on 21 global routes from three U.S. hubs – San Francisco, Newark and Washington Dulles — by the end of May. 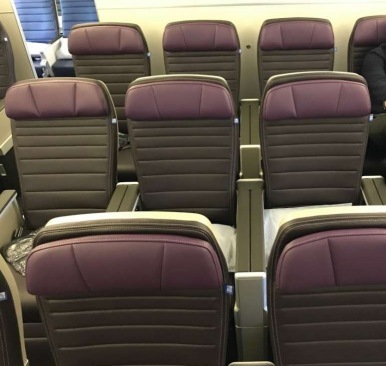 United has been refitting its existing aircraft for several months with the new purple premium seats being offered as “Economy Plus extra-legroom seats” (at no extra cost) until a full roll-out was ready. United’s new Premium Plus seating category went on sale December 3. From San Francisco, Premium Plus will debut on 777-300ERs to Frankfurt, Hong Kong, Taipei, Tel Aviv and Tokyo Narita starting March 30, and to London Heathrow on April 29. 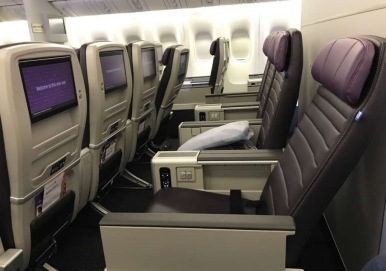 Also on March 30, the new cabin will be introduced on 777-200ERs from SFO to Auckland, Beijing, Frankfurt and Paris. At Newark, passengers will see Premium Plus on 777-300ERs to Hong Kong, Mumbai, Tel Aviv and Tokyo Narita; on 777-200ERs to Brussels and Paris; and on 787-10s to Frankfurt and Tel Aviv, all starting March 30. United 777-200s from Washington Dulles will roll out the new cabin to Brussels March 30, to Paris April 29, and to Tel Aviv May 22. Additional 787-10 Premium Plus service from Newark to Paris and Barcelona starts April 29, and to Brussels and Dublin begins May 22. Besides being available for purchase, the new seats will be available for upgrades with MileagePlus miles. “For upgrades, either a single Global Premier Upgrade or a MileagePlus Upgrade Award can be used to move up to a United Premium Plus seat or to United’s Polaris business class cabin,” the airline said. Premium Plus will be a step up from Economy Plus with seats that offer more legroom and elbow room and greater recline.